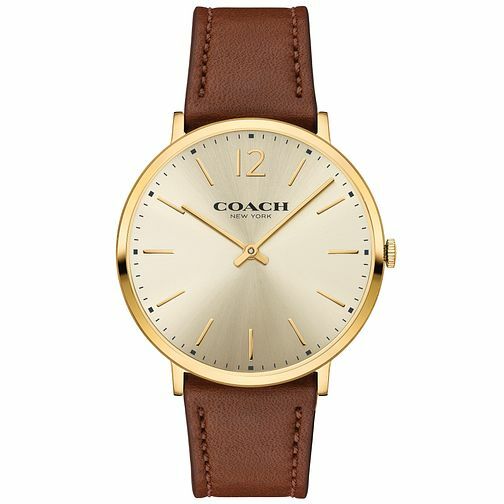 Expertly crafted, each timepiece created by New York fashion brand Coach is designed with contemporary style in mind. Elegantly coated in stainless steel this classic wristpiece features a pop-colour dial, brown leather strap and a date aperture. Crafted by a world-renowned watchmaker for durability and water-resistance to a depth of 99 feet.